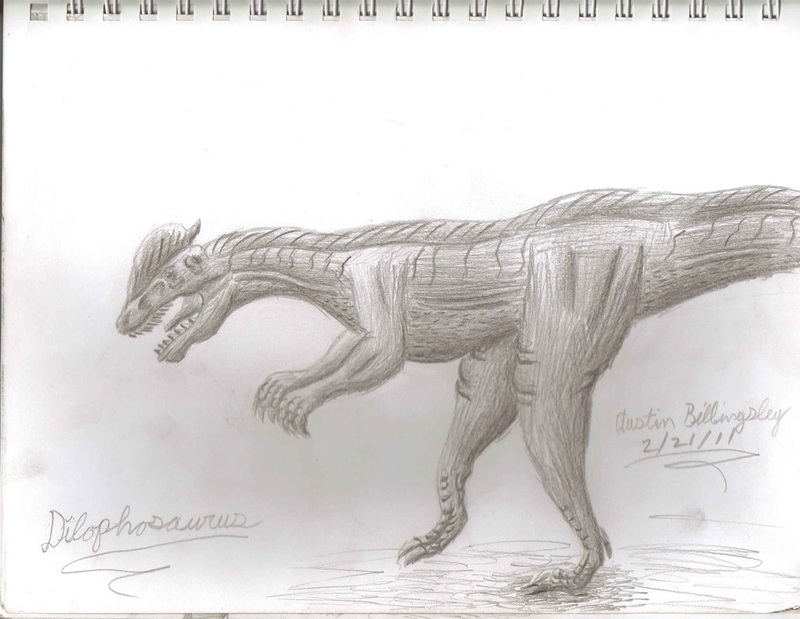 I decided to try my hand at another dinosaur called Dilophosaurus. As you can see, my major problem with this sketch was it's muscle mass. The arms are too thick, but I'm still learning the possible anatomy of these extinct animals.